July/August Mahonia Nursery Availability List for updated plant material and pricing. Quercus Garryana List -Trees with a caliper of 7" and above are quoted prices upon inquiry. For more information about purchasing Q. garryana, we have provided some basic guidelines. For all inquiries, please contact Mahonia Nursery's manager, Rick Brownell, at (971) 701-1921 or by email. 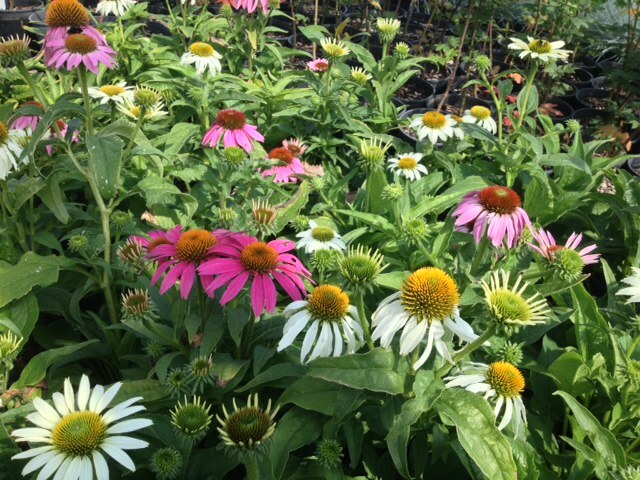 Echinacea purple cone flower -- 1 gallon, from seed, and showing its diversity. 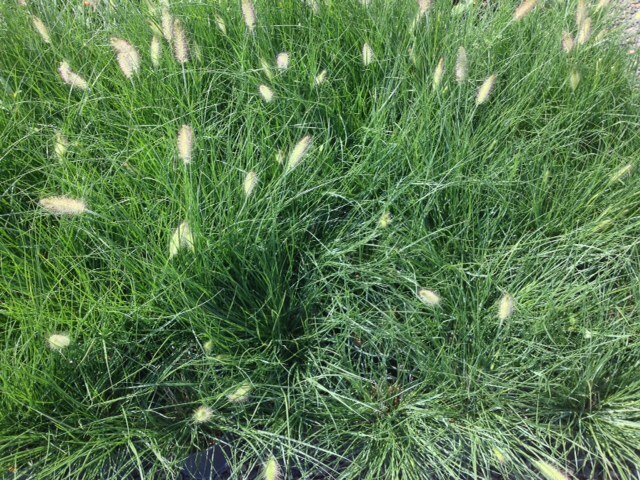 Beautiful, full 1 gallon containers of Pennisetum alopecuroides 'Hameln' -- 80 - 1 gallon available. 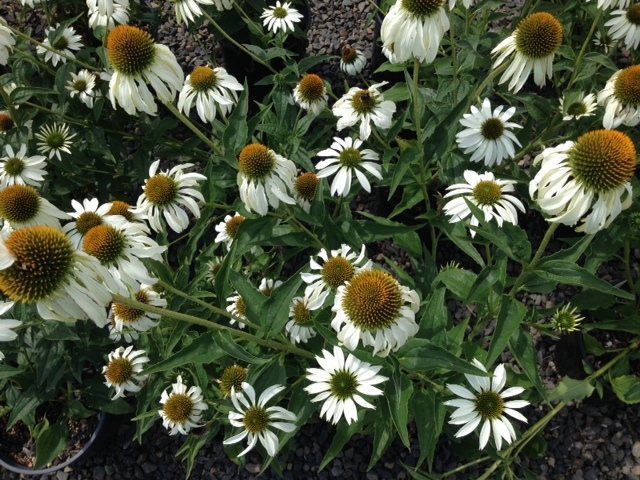 Echinacea purpurea 'White Swan' 2 gallon. 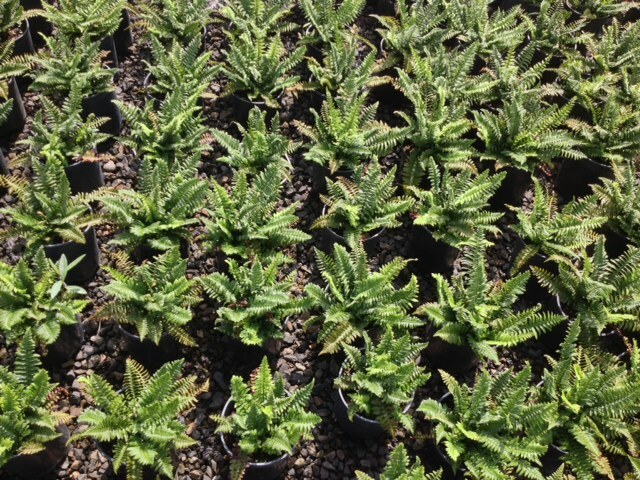 Polystichum minitum -- Western Sword Fern -- 1 gallon, 800 available. 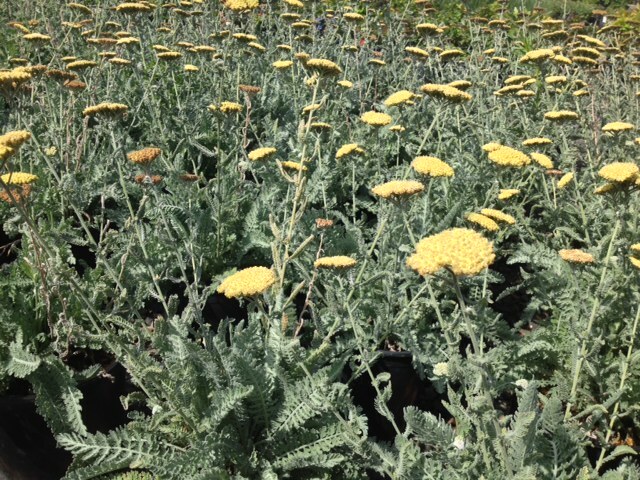 Achillea millefolium 'Moonshine' 2 gallon -- 96 available -- special for the month of July! 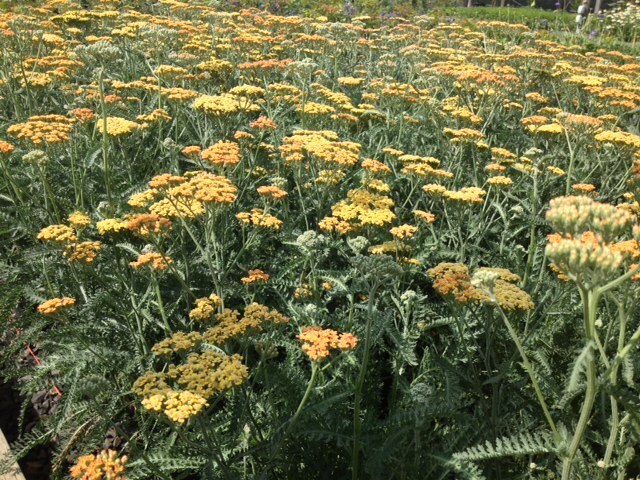 Achillea millefolium 'Terracotta' 2 gallon -- 50 available -- special for the month of July! Visit our website for more images of what's growing at Mahonia Nursery! Our basic pricing on Q. garryana is $120/caliper inch (measuring the trunk about six inches from the ground in the Fall). But we grade the trees with some subjectivity because most of the large specimen trees of Quercus garryana on our nursery site are rescued from the wild. They have not been trained to be uniform like many bare-root shade trees are in other nursery practices. Consequently, some trees may be a little shorter or taller than other trees of the same caliper; or they may have one-sided branching that we feel puts them into a slightly different quality level; or they may have a stronger or weaker leader than other trees of the same caliper. Please note that specimen trees with a 7” caliper and above say “quote” in the price column. These specimen trees are individually priced apart from the standard $120.00/caliper inch guideline. These trees are quoted prices because they require larger equipment to dig them, remove them and load them, and require more time to prepare for transportation. In some cases these larger caliper trees are quoted up to $360.00/caliper inch. You should consider what qualities are most important to you when picking out Q. garryana: Are you looking for uniformity in height and shape rather than uniformity in caliper size (if you are purchasing more than one tree? ); or do you just need a certain caliper minimum regardless of other qualities? Copyright © 2015 Mahonia Vineyard and Nursery, All rights reserved.